A uniquely complicated, but very intended individual. Disclaimer for this post: There is/was no anger or fresh personal experience that stimulated this blog post. Instead… I wrote this blog after noticing a series of deep relational issues that kept coming up in my pastoral marital ministry. Couples who were coming to me for counseling exhibiting issues and patterns of verbal / emotional conflict that had specific behaviors in common. It was from these experiences that I began to research the ‘root’ causes of some of this… this blog post was a response to what I felt impressed into my heart and mind. It rang true to me and my prayer would be for this post to help you understand yourself and others better. Marriage is all about seeing ‘past’ the shortcomings of others. You know ones I’m talking about… folks who always have a plastered smile on their faces…, never dropping their guard or relaxing their emotional control. Always having a “fantastic‘ day or ‘gushing’ about how amazing their career is going, how accomplished their kids are… nothing negative, only awesome all the time! Or… the maybe even worse…the fake people who rush to breathlessly confide in you. Whispering excitedly about the shortcomings of another in a somber tone of false concern, only to do the exact same bus-throw to you after you leave the room. Flitting from one conversation to another, always pointing out the problems of others, never offering to be a part of the solution, critical and duplicitous. This is the wounded heart floundering through life. The insecure and insignificant soul reaching desperately to find purchase on the slippery edge of their existence, the ‘fake’ behaviors only symptoms of something much deeper. Let’s be honest here, we all struggle with both sides of this. Sometimes we’re the victim… sometimes the offender, all of us affected daily by relationships with people who are struggling to find their purpose. People secretly afraid to admit their problems are real… hiding their shame in plain sight. We’re all flawed, broken, and desperate for purpose and identity. We are longing to find the answers to the deepest issues of our existence, the reason we’re alive, the reason we matter. The world is full of options and offers to pursue… knowledge, pleasure, possessions… honor. All of these can be valid to some degree, but what ties it to us? Where does our deepest identity spring from? Are we athletic, intelligent… beautiful, or spiritual? Do we allow ourselves to fail… or are we pushed to perfection in a wordless cry for value and significance? The Christian faith offers a simple consideration that can bring clarity and conviction to any life. An honest and enduring truth to build your entire existence around and on. Jesus Christ is in fact both man and God. His life an ultimate illustration of what life can be for each of us. What life should be for each of us. The loss of purpose and value, the soul robbing power of fear and uncertainty gone in an instant. If Christ is who he claimed to be… (the one and only path to God) then what he did and why should matter. It means we can stop being fake. It means that who we are, the way we are… the unique and weak parts of us are all on purpose. They serve a function that’s essential and vital to our purpose as created ones. The things we hate about ourselves… our personalities, feelings, fears, and frustrations… our insecurities and stubbornness are all a mix of us… a uniquely complicated, but very intended individual. The twist here… in our weakness, God reveals his strength. That means… ultimately we’re not going to measure up on our own. That means… we’re going to get it (marriage/parenting/relationships) wrong. We’re going to fail each other and flounder around and foolishly fall on our faces. So what! We are only HUMAN! Not GOD! Cut yourself some slack… cut others some too. Here’s the punchline… there is only space for one “God” in our life…. and it’s not us. Once that reality sinks in… we’re off the hook. No more ‘pretending’ to be something we’re really not. No more posers trying to convince ourselves and everyone else we’ve got things in our life under control. Recently I spoke on a passage in John 6... an iconic miracle of Jesus in which He feeds five thousand with 2 fish and 5 loaves of bread. The story includes a moment where Jesus allows Phillip some time to try to figure things out for himself, to do the ‘math’ if you will. It’s clear to us as readers the best efforts of Phillip aren’t going to feed these hungry people. No matter how he plans or prepares to meet the need right in front of him, he doesn’t have enough to go around. How often do we as parents or pastors feel that way on any given day ? How often do we add up our resources for a specific need we see in our lives or for others and simply admit how impossible it would be for us to make a difference, and walk away without even trying? What if we gave God what we have… (2 fish / 5 loaves) and asked Him to “bless it, break it and multiply it” ? Would we too see a miracle of provision from our meager means…. As we navigate our lives we are going to come across situations inside and outside of our homes where the need is greater than our ability. If we see Christ as “bigger” than our problem, we could do more than walk away frustrated at our inability to fix things… we could surrender what we have to Jesus and watch as He does something miraculous right in front of our eyes. Something to consider…and to find hope in! The elections are almost here, Obama or Romney? Time to choose, time to place your bets and roll the dice… who is the best man for the job? Who can deliver on the most promises and who will provide a better America for our kids and grandkids to grow up in? Hard to say isn’t it? Obama is an iconic and historical first for America, but his values and beliefs represent hope for change from the status quo’ and recalls to us the dreams of every American who has ever suffered injustice. His call is for us to trust in the government to step in when we can’t. Romney is a no-nonsense businessman who claims to represent the pragmatic and disciplined might of our American ideals, hard work, conservative values and economic prosperity. His call is to trust in his ability to “turn things around” and in his lifetime of success in the boardroom. Choose and vote your conscience, but remember… there is only ONE true answer to our universal cry for “Hope and Change”. Putting our faith in a man, or an economic system to protect and provide is what repeatedly tripped up the nation of Israel in the historical record that’s found in the bible. They too found the temptation to trust in something visible, touchable and popular….outweighed the teachings and traditions of their Hebrew faith. The families who lived through the Exodus from Egypt had forgotten to keep fresh the miraculous evidences of God’s provision. As a result, their trust and faith in Jehovah slowly faded, lost in translation from one generation to the next. I’m fearful for our nation that we are approaching our challenges with a similar mindset. Hoping for a plan, or an economic philosophy that we can “see”, trusting in only logic to create a way to recover our financial health and restore the fortunes we’ve lost. What if no one can figure it out? Let’s be careful that we as families of Faith don’t begin to place our trust in the wisdom of man and ignore the patterns of God and the obvious history of our unprecedented blessing as “One Nation Under God”? Isn’t it time to begin respecting, believing and trusting in God’s word as a nation again? This year… vote with a clear understanding that the man we elect is only a servant of the people, meant to reflect the values, beliefs and character of our nation. The only true source of lasting “Hope and Change” is going to come from us, the people, the real faces of America and what we choose to do every day. Let’s each renew our personal commitment to walk with and trust in the power of God to guide and provide the “best” way forward for our families and this nation. NO man, NO Plan and NO force of will is going to save us from ourselves…Only Jesus. Working in the music world of Nashville with pre-teen and teen artists I’m used to coming across amazing talent with iShine (www.ishinelive.com), young men and women who are vocally talented and gifted. But this 13 year old (Carly Rose Sonenclar) was not what I was expecting… after watching her X Factor performance, I was a fan… A Facebook post by my niece piqued my curiosity and then I starting typing out this blog. I watched the video and reposted it… and when the goosebumps started to fade I realized part of what I was feeling was the pure joy of hearing a voice that was meant to be heard! A gift from God that stirred the heart and refreshed the soul, from the lips of an emerging adolescent girl who at 13 was tearing IT UP!!! As parents… let’s use this wonderful musical interlude to remind ourselves of the vitality and strength that is retained in the lives of our pre-teens and teens. Their dreams and hearts are just big enough to become reality, let’s be extra careful to NOT put their hopes in a box made out of our own shortcomings, failures and pain. After all, Jesus was in the temple at 12 wow-ing his world as he shared with the scribes and teachers of the law from a depth of divine insight that was unprecedented. Josiah was running an entire empire by his 13th b-day and Mary the mother of Christ had to be in her “early” teen years when called upon by the Holy Spirit to play a lead role in the eternal story of redemption. It’s clear that pre-teens and teens were and are meant to share a lot of valuable stuff for us “adults” to learn from and they carry in them… hope and heart and optimism for us all! WoooHoooo!!! You Go Carly Rose ! and we’ll be rooting for you in Nashville every step of the way, and praying for God to protect you and your precious family from the rigors of your emerging fame and success. Before any one out there gets too upset, I’m NOT comparing this young talented singer to the Lord Jesus Christ, or the Virgin Mary, but I am pointing out the potential she has at tender age to impact the world as noteworthy and encouraging for parents of Faith. What a great and timely reminder for us to nurture the dreams of our own children as they may well have a significant gift like Carly’s to share with us all! Blessings to you RTP families! 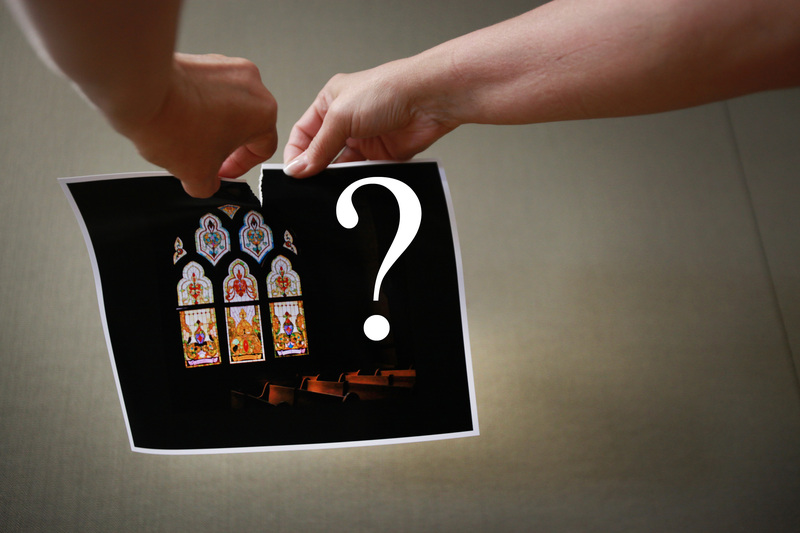 is Age12, old enough to embrace faith? 18% believe in moral absolutes. Pretty shocking statistics, even for someone who works in and around these issues every day. The bottom line for parents is this; an hour a week in sunday school will NOT offset an average of 80 hours a week consuming mass media. We will have to INTENTIONALLY engage our tweens with the details of our faith. Not by forcing more bible study, or expanded devotionals every night at the dinner table…not by disciplining them into outward compliance, but by the sheer integrity of our own parenting faith. We will only win their hearts for Christ by the way we treat our spouses, friends and co-workers. By what we say and don’t say about our brothers and sisters in the faith and by how we invest our time, money and resources for self…or for others. Faith has a way of declaring itself to be real to those who are closest to us. Our kids know if we’re the genuine article or not. The question is… will they be so affected by our lifestyle of authentic and practical faith they might want it too? So the answer to today’s question… is YES to age 12. Not only is the answer “YES”, but statistics suggest we should be actively asking them about what they do believe at this age! Not passively assuming they are absorbing what we believe. Further research shows that our kids will decide by the age of 13 if the the Jesus we proclaim is going to become their own. The ultimate illustration of our parenting faith is not found in dedicated church attendance or scripture memorization, but in our LOVE and practical application of what we say we believe. As the father of three teens, I pray often for Christ to show me the specific areas of my kids hearts that need to be “won” for Him. And when I begin to see the areas of doubt, pain and hurt that have blocked His message of hope and joy and peace, I go after those as best I can…praying all the way for grace to cover up all of my faults and flaws and inconsistencies. School is about to resume. Patterns of life are being set, I want to be sure I keep focused on my family and the healthiest possible patterns of love and faith inside our home, trusting God to handle things beyond our door. King Josiah stepped into leadership as a tween, Jesus himself began to teach others in the synagogue at age 12 and we know that Mary was as young teen when she embraced the honor of being a miraculous mother to Christ. From the biblical pattern of scripture, we can certainly see that God uses Tween’s, and when he does…it changes the world. How cool is that ? We ALL want to have a healthy home. We all want our kids to turn out “right“. But as we get some mileage on our lives, we find out it’s harder than it sounds… to find some answers, I’ve been studying in the book of Exodus, looking at the patterns of God for the home in its history and content. The old testament tabernacle emerges as a symbol of the home. Resembling a huge modern-day tent, it exemplified the pattern of worship, law and common-unity for the nation of Israel to grow up and around. This same tabernacle housed the presence of God in its Holiest inner chamber and clearly expressed the heart of God to be with man, in a home. That mobile and temporary tent structure was replaced hundreds of years later by King David’s son Solomon who erected a massive stone temple that more properly honored and reflected the blue-print that God had described in Exodus for a dwelling place on earth. Even it in all it’s glory, the temple was still an imperfect demonstration of the heart of God towards man…. When Jesus Christ shows up on the stage of history in the Roman era, we begin to see more of the original architects intended design for a Heavenly home. What had been a magnificent stone representation (temple in Jerusalem) of the covenant between man and God was now being transitioned to a new covenant. No longer would the covenant be based on a man to God approach (outside in) but on a much firmer foundation, that of a God to man (inside out) approach. With this new covenant came a new blue-print for God’s home. In this new pattern, His presence would no longer be containable in a physical structure like a tent (tabernacle) or temple. Instead He would live in the very hearts of those who accepted and followed the teachings and ways of His only son, Jesus. This created a new focus,a shifting of attention from the external behavior or appearance of people, to the internal reality of their hearts and minds. 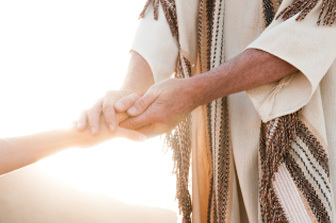 Skipping the deeper theological tenants for the sake of brevity, suffice it to say… this new covenant still modeled the ancient blueprints of God’s plan and purpose to be in relationship with man, but it no longer required us to experience God through a surrogate (Moses, Priests or Prophets)…always one relationship away from God’s presence. Instead we were granted the most precious gift of all… of being allowed into the presence of God for ourselves. So what’s this have to do with a healthy home? Simply this… for us to fully experience a peaceful and vibrant life we will need to back away from having an over focus on the exterior of our homes. Struggling to maintain the outside appearances of our families to others is not going to work… it’s exhausting and impossible to accomplish in our own human strength or wisdom. When we try to live to maintain the “status quo” of what we believe is proper we major on a minor theme. If we as parents find ourselves overly concerned with “what they (others, neighbors, friends, church) might think” of us, it suggests we might still be “stuck” in the old covenant of “earning our way” back to God by our external behaviors. Jesus calls us to abandon that “old” way of living out faith, and instead as parents to make it a priority to spend time with Him first. If we spend that time alone with Him on a regular basis… it allows Him permission to write His law on our hearts…and when it’s in our hearts, it transforms. Families will begin to experience a perceptible shift, completely from within, starting from the top down, and spreading naturally from the inside out. Just like Jesus said it would.